Involtini is great because it gives the cook room to be creative. 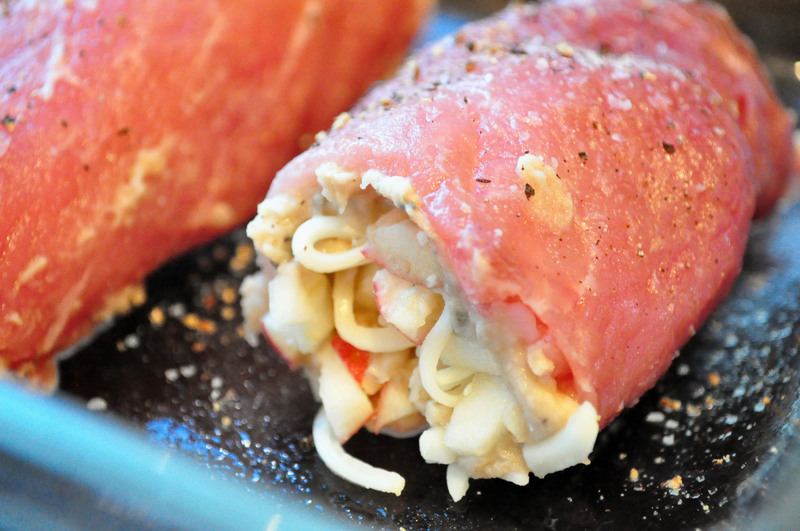 You can fill involtini with pretty much whatever you desire. 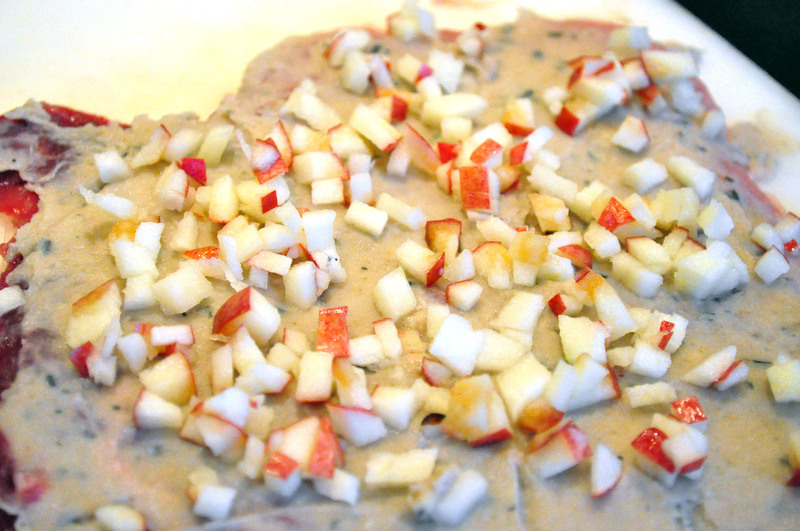 We chose a garlic white bean dip that my mom had made for a previous appetizer and added a classic match for pork, apples. This dish was great serves with swiss chard and wild rice. Pound each pork chop until 1/2-inch thick (be careful not to break through the slices). Season each piece of meat and place all four pieces in the refrigerator for 30 minutes. Combine all of the ingredients for the white bean spread and process in the food processor. Slowly add water until the mixture begins to have a hummus-like texture (about 2-4 tbsp). Lay one piece of meat on a cutting board and cover with a layer of the white bean dip, a layer of the chopped apples, and a layer of mozzarella. Repeat for each piece of meat. Gently roll each piece, making sure to keep all of the fillings inside, and place seam-side down in a greased casserole dish. Season with salt and pepper, then bake at 350F until meat is cooked through (about 30 minutes). Remove the dish from the oven, cover with foil and let rest for 5 minutes before serving. You have made this look really easy to do. 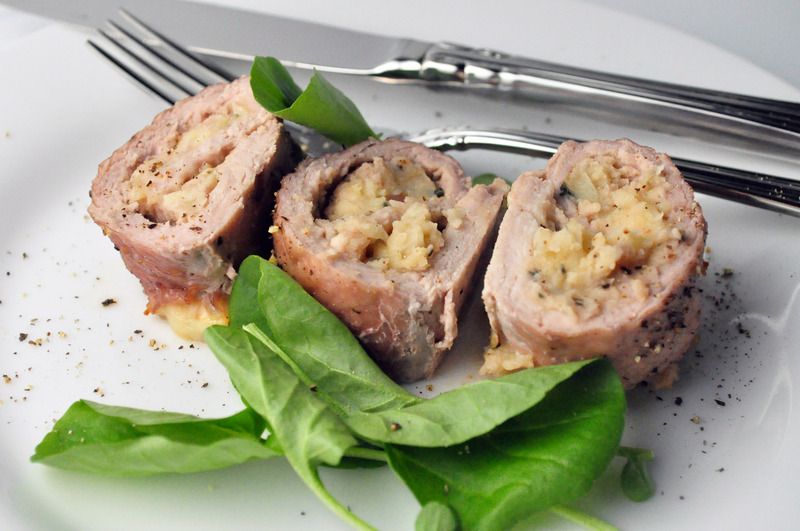 Pork is my go to meat when entertaining and we have special friends coming this weekend, I think I will give your Pork Involtini a go. Thanks for your recipe and thanks for making it look like something I can actually prepare. hi, i just stumble on to you blog and i love it. this recipe sounds fantastic.. i shall give this a try. thank you for sharing your creativity. have a great day. These involtini look fantastic. I love stuffed pork.